UAW has completed a major relaunch of a club member benefit that offers discounts at local businesses, and we are promoting these local businesses through our Unlimited Auto Wash APP. Download our new APP & loyalty program below and receive a free wash after purchasing only 8 washes! 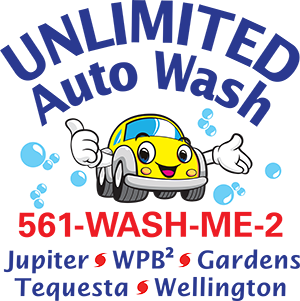 The Unlimited Auto Wash Club has launched a new member benefit that offers discounts at local businesses. By working with local businesses, we hope to achieve additional business for those merchants who participate and to help offset what the customer pays us for his or her monthly fee. Businesses who participate in the program can expect to benefit from the increased exposure through our APP, website, promotions, and our onsite banners, We will also be providing a running list at the check -out counter of each of our locations, This free advertising is accessible to the public. Only active UAWC members are eligible to receive these discounts, however we encourage two tier discount for our non-members. You can expect increased business as our membership increases and members utilize their local merchant discount benefit. Today, UAWC currently has in excess of 3,000 members. We anticipate the reach to be in excess of 10k via our APP by Dec 2015. You determine the discount to offer. Our philosophy is “Go big or go home”. Our APP will be heavily advertised on Fox 29, as well as banners that are affixed to the ground near our entrance for every customer to see your logo and discount offered. You pay for only the banner at our cost, approx $70 (if you choose). Using these tools to list the participating merchants and their discount offers allows you to be flexible. if you wish to change your discount offer or discontinue the program, we can easily update our APP and so forth. Please not changes take up to 2 days. UAWC members will ask for the discount and present either their APP or their membership card. The membership card validates their active participation in UAWC. All membership cards will have our logo… see the example to the right. Contact Lori Bronson at LoriUAWC@gmail.com or call 561-389-0135. Provide the required information listed on the back of this letter. Once we have received your information we will notify you confirming your participation and will update the UAWC website, our APP, and lists within 3 days. You should review the confirmation information for accuracy and also check the UAWC website. If there are any inaccuracies, contact Lori immediately. Not all businesses will be eligible even after receiving the returned, completed form.